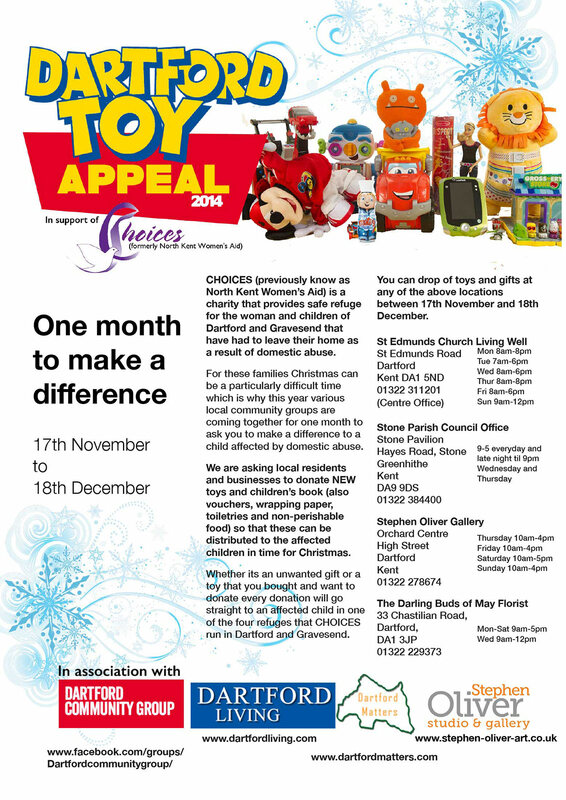 CHOICES (previously know as North Kent Women’s Aid) is a charity that provides safe refuge for the woman and children of Dartford and Gravesend that have had to leave their home as a result of domestic abuse. 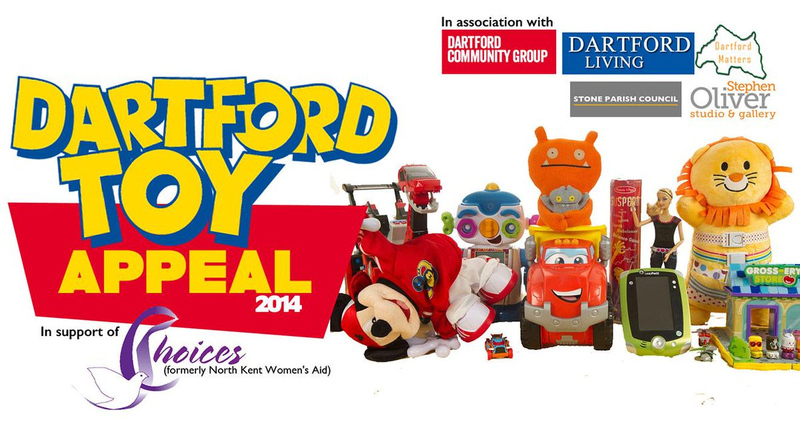 The Dartford community are asking local residents and businesses to donate NEW toys and children’s books (also vouchers, wrapping paper, toiletries and non-perishable food) so that these can be distributed to the affected children in time for Christmas. 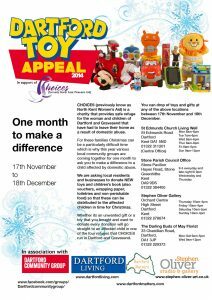 Whether its an unwanted gift or a toy that you bought and want to donate, every donation will go straight to an affected child in one of the four refuges that CHOICES run in Dartford and Gravesend – http://nkwa.org.uk/.